Earl Maneein, a violinist featured on the Dillinger Escape Plan's Dissociation, premiered his heavy metal violin concerto Dependent Arising this past weekend in Phoenix, AZ. The unique metal-meets-classical piece was performed by Rachel Barton Pine and the Phoenix Symphony Orchestra, as conducted by Tito Muñoz. 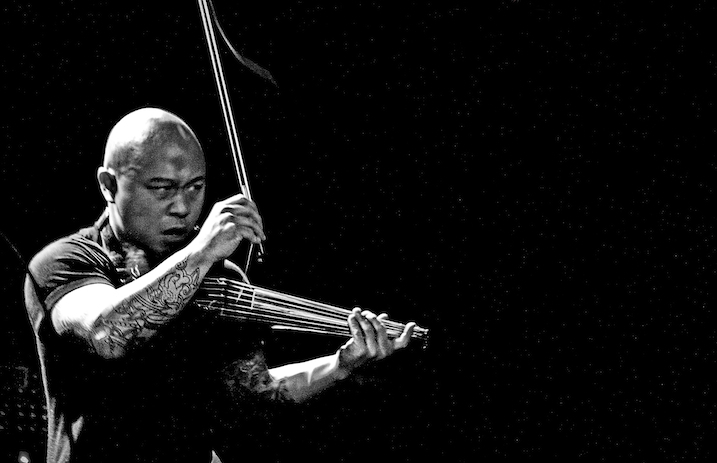 Maneein also plays violin with Seven Suns, his metal-influenced string quartet. The group performed on Dillinger's Dissociation, the progressive metal band's sixth album. Check out a video of the concerto in rehearsal below.